A helpful Pool Academy student has been rewarded after volunteering her time at The Royal Cornwall Show. Cerys, Year 7, offered to help as part of the Guide Messenger Service at the show when it took place on June 8 – 10. It was the first time she had been to the annual event in Wadebridge. She completed two separate two hour shifts. During her first shift she delivered show results to the results office. Her second shift saw her looking after children while their parents looked around the show. 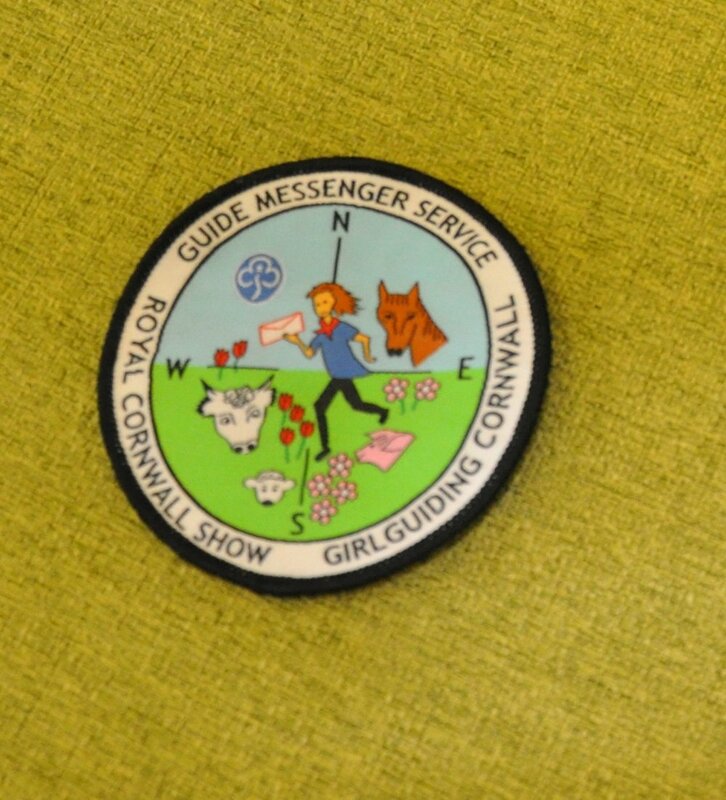 Cerys, a Guide from the 7th Camborne unit, was given the Guide Messenger Service, Royal Cornwall Show badge as a reward for her work. She said: “I went to help on the Friday. We were there from 8am until 6pm. “On my first shift we were asked to collect the results of the events and walk to give them to the results office in the main room. It was quite a long walk. “It was my first time helping at the show. Cerys said she was able to have a look at all the things going on at the show as well. Her favourite section of the show was the sheep.